It looks like a three-way battle between Arsenal, Chelsea and Manchester United for fourth place this season – and Paul Merson believes his old side are going to miss out. The Gunners currently occupy the final Champions League place, having moved a point ahead of Man Utd at the weekend with a win over Southampton while Ole Gunnar Solskjaer’s side were held to a 0-0 draw at home to Liverpool. Chelsea also have a game in hand on their rivals, so could claw their way back in soon enough, though their recent form has been dreadful, particularly away from home. 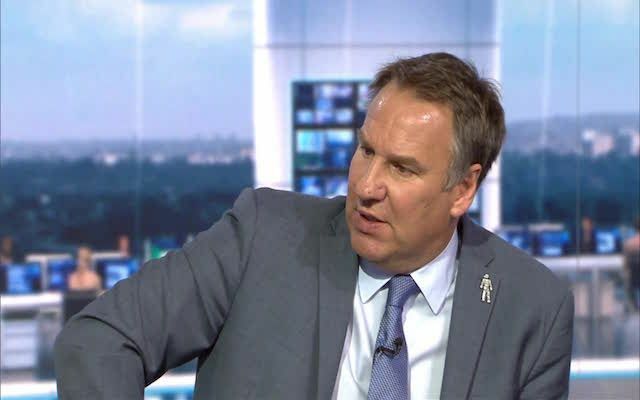 Still, Merson just can’t see Arsenal staying where they are at the moment after an unconvincing first season under Unai Emery. Following their win over the Saints, Merson described Emery’s side as flat-track bullies, but couldn’t see them avoiding a bad result some way along the line between now and May. “Arsenal are flat-track bullies, aren’t they? They finish these teams off,” Merson told Sky Sports, as quoted by the Daily Mirror. Arsenal used to be regulars in the top four under Arsene Wenger, though they finished 5th and 6th in his final two seasons, which ultimately led to him being replaced by Emery last summer. If the Spanish tactician can get them in the Champions League again that would have to go down as a successful first season, though he can also achieve this by winning the Europa League if they cannot get fourth.